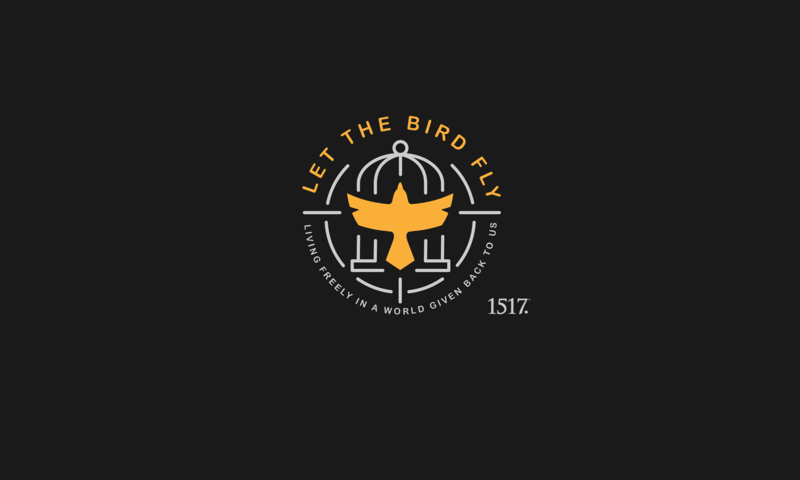 To Beat the Devil – Let The Bird Fly! Man, it must have been crazy back then, with all these demons and devils afflicting people, huh? It was really a different day, don’t you think? Thank God it’s not like that anymore, right? But is it so different? No, we don’t have a bunch of exorcisms taking place, but is the devil any less active? Are people any less afflicted? Is hell any less real and its powers any less tyrannical? Read the news. Look around you. Examine yourselves. The devil is still a busy boy. And today’s gospel reminds us that Christ’s work of casting out the devil is as important today as it was then, and he still does it in the same way, with His Word and by His authority as the Son of God, our Savior. It is hard for many to believe, and perhaps even for us to believe sometimes, since they are so cute and cuddly, but every child born into this world is born a child of the devil, property of hell, an enemy of God. That’s why we baptize them, isn’t it, to wash away their sin, to make the children, not of the devil, but of God, to make them property, not of hell, but of heaven? All of us are by nature hostile to God, whether we know it or not. We might not express it by shaking our fist at Him. In fact, most often it probably manifests itself in indifference. The fact remains, no matter what the case, whether our enmity is obvious or not, something needs to change. The devil needs to be driven away. His hold on us needs to be broken. And there enters Jesus. Have you ever thought about the devil afflicting you? I’m guessing you’ve thought about illness afflicting you, financial straits afflicting you, marital problems or parenting issues afflicting you, even about doubts or despair or depression and melancholy afflicting you. But have you thought about the devil afflicting you? Have you recognized His hand behind or in such things and sought appropriate help then, not only in secular or medicinal remedies, but in the Word of life and pastoral counsel? Have you considered the fact that he uses such situations to drive a wedge between Christians and their Lord? Have you been on guard, then, against such attacks? Think of Job. Had he lived in modern times Job might have compartmentalized his afflictions. He might not have seen the hand of God or the devil in what struck and overwhelmed him. He lost his health, his wealth, and his family, but maybe in our day and age he would have simply considered those simultaneous and coincidental misfortunes—a string of bad luck. Fortunately, he was wiser than that. He had a biblical worldview. He knew that such things could only happen if God permitted them and that the devil could and indeed would use them to try to make him angry at God or to crush his faith in God’s goodness. Are we equally prepared? If not, we’d best address that, or we will be easy prey. This Lenten season, especially in the midweek services, we will see the devil pursue our Lord Jesus, even as he pursues us, Christ’s followers, His Christians. We will see the devil appear to swallow Christ whole, to devour him as He hangs slain upon the cross. But on Easter the story will change, won’t it. Christ will burst the devil’s belly, even as He bursts forth from the grave. Satan certainly bruised our Lord’s heel, but Christ will crush His head. And we are to live in that victory. And we are to guard that good deposit, that inheritance that is our through Christ’s death and guaranteed us through His resurrection. And so we must not dismiss the devil and his demons and his ploys and his snares and his ways. We must mark and avoid him and such things. We must be ready. That is not easy, though. The world thinks talk of the devil backwards. It laughs at our foolishness. Who believes such things anymore, right? A devil, a little red guy with a cape and a pitchfork? It sounds downright medieval to a large part of our society. We need to get with the times. We need to come into the twenty-first century. We need to concern ourselves with more important things. This devil talk is just plain silly and unhealthy. That is what we no doubt will be told by some. But if the devil has to appear silly to drag souls to hell, he is happy to play the part. If the devil has to pretend not to exist to prove his existence for all eternity where the worm will not die and teeth with gnash without end, he will gladly feign to be a figment. Some preachers uncomfortable with preaching about the devil, or in churches where such a belief would be dismissed as outdated, will instead preach about Jesus having power over the bad things in your life. The demons become a metaphor. And so Jesus has power over your problems. Jesus inevitably becomes a Dr. Phil, then. The point is, though, that Jesus didn’t come to address something so small as your symptoms or your temporal problems. Jesus came to defeat sin, death, and yes, the devil. Jesus came to rescue you, not merely from the hardships of this life, but from the very one who would use those hardships to rob you of the next life. And so you do well to remember that. Poverty in this life is better than hell in the next. Depression in this life is better than hopelessness in the next. Sickness in this life is better than torment in the next. And yes, the Christian faith can offer us help and counsel comfort and aid in such things as poverty, depression, and sickness, but it also offers so much more. It offers, not a temporary relief here and now, but an eternal relief where such things will be unheard and unknown any longer. Imagine going to a doctor with hives that were the result of some possible fatal disease, and yet instead of treating the disease, the doctor simply gave you some lotion to address the hives. You’d want a new doctor, wouldn’t you? He obviously doesn’t see the big picture. Well, it is equally negligent and dangerous when people want preachers and churches that address only the symptoms and ignore the underlying potentially fatal disease, the real problem, sin and death and the devil. Today’s lesson reminds us of that. Jesus came to conquer the devil, and as a sign of His task and authority, He cast out demons. 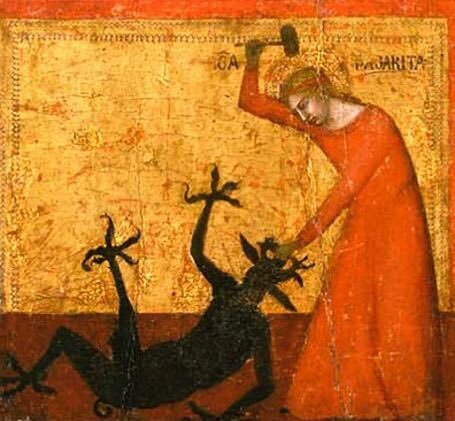 So also, the church still drives away the devil today. It does so with God’s Word, law and gospel, as it exposes sin in order to excise it, to take it away through holy absolution. Expect that of your church and of your pastor. Recognize that as your greatest need. The devil might not be before your eyes, but he is behind much of what afflicts you. Fortunately for you, he cannot stand in the presence of our Lord, who abides with us in the Means of Grace.